Is the present decline in the S&Ps a déjà vu of 2011? 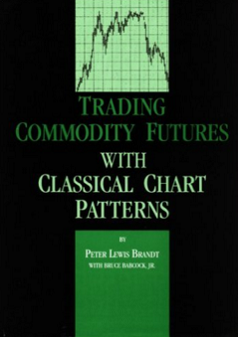 Classical charting principles at the core represent analog analyses — that certain price patterns tend to repeat over time with slightly different variations. An interesting analog situation has developed in the S&Ps. Some technical analysts have declared that the current market construction is analogous to 2011/2012 and will be similarly resolved by a continuation of the dominant bull trend. I completely disagree. Let’s examine the construction components of each period. The top chart is the S&Ps during the 2011/2112 period. The bottom chart is the current market. 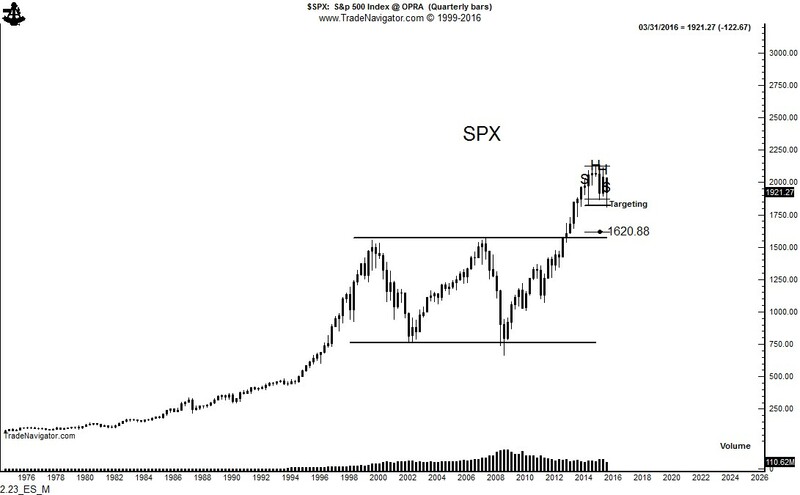 This is where the analog falls all apart — sorry bulls! 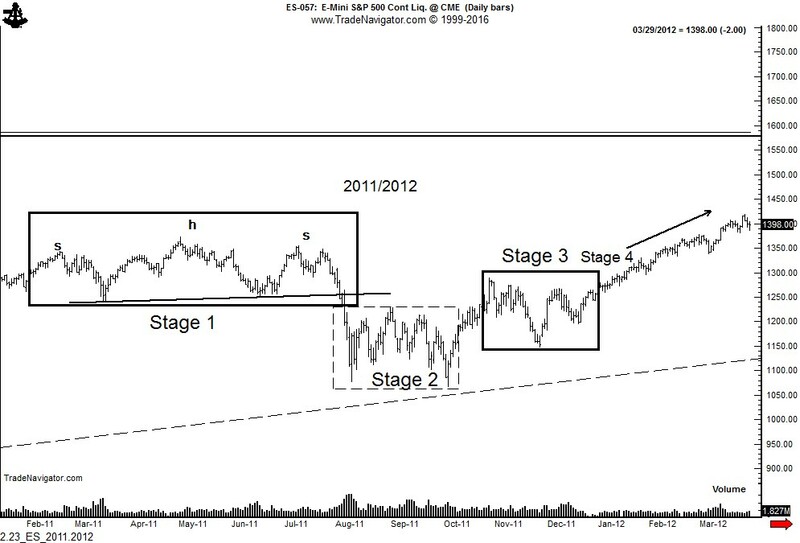 Stage 4 in the 2011/2012 period was followed by a continuation of the dominant bull trend that existed prior to the H&S top pattern. 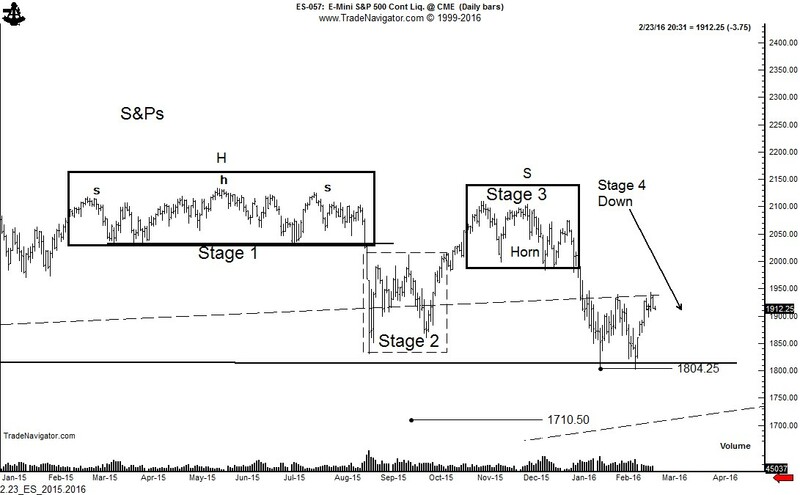 However, Stage 4 in the current period has been a resumption of the decline. Bottom line — analysts cannot compare the two periods. The analog has broken down. The liklihood is that the dominant trend in the S&P is now down. 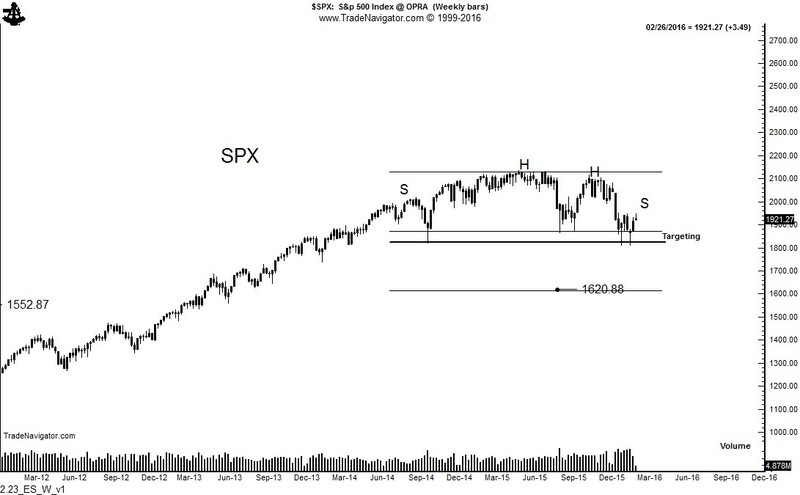 The weekly SPX chart displays a possible 22-month H&S or rounding top pattern, as shown below. This top, if it is confirmed by a close 1790, projects a decline toward 1620. Such a decline would represent a 24% drop from the 2015 all-time high. This would actually be a rather shallow bear market by historical standards. In fact, a decline to 1620 would be a simple retest of the 2013 breakout of a multi-year rectangle on the quarterly graph (bottom chart). 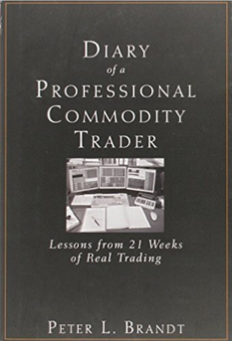 Note: I am not the first trader to examine the current U.S. stock market from the perspective of analogs. A fellow trader, Jesse Felder (@JesseFelder), examined the analogs of the U.S. stock market way back in November 2015 in The Felder Report. See here. By the way, I highly recommend any and all things written by Jesse. 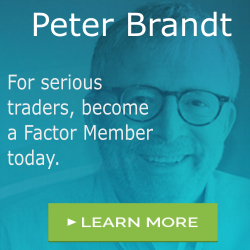 https://www.peterlbrandt.com/wp-content/uploads/2016/02/Bear.jpg 120 195 Peter Brandt https://www.peterlbrandt.com/wp-content/uploads/2016/03/Factor-Research-Trading-Services-300x79-300x79.png Peter Brandt2016-02-24 13:01:372016-02-24 13:35:03Is the present decline in the S&Ps a déjà vu of 2011?